"One thing that I strongly recommend is to involve the Geological Agency in mitigating disaster-prone areas. 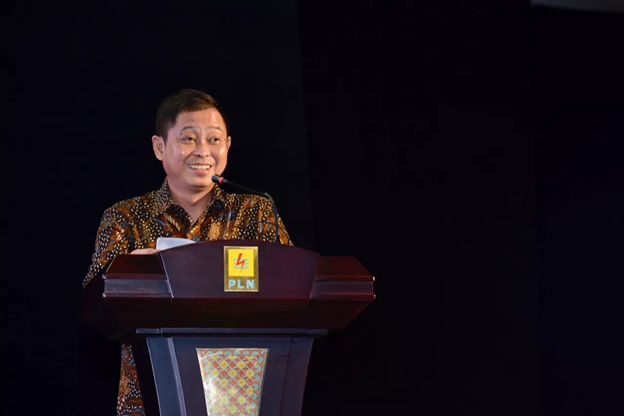 Usually this is overlooked by investors," said Jonan at the Dissemination of the Electricity Supply Business Plan (RUPTL) of PT. PLN 2019-2028 at the Central PLN Building in Jakarta, Monday (18/3). Jonan invites investors to run a local primary energy-based electricity business in region 3 T (Outermost, Frontier and underdevelopment). "If want in a more remote area. For example, building a Wind Power Plant (PLTB) in East Nusa Tenggara is definitely a very good price," said Jonan. Investors do not need to worry about pricing. Moreover, every year there will be adjustments to the Cost of Supply (BPP) in each region. "Every March the new BPP will be issued as a reference," Jonan added. So far, the development of EBT investments shows progress. In the last two years (2017 - 2018), there have been 74 EBT contracts that have been signed or equivalent to 1,576 Mega Watts (MW). With details, 5 operate, 30 constructs and 39 enter the latest financing (financial close). Special energy mix, Currently, the share of new renewable energy in the national energy mix has reached 12.4%. This portion increases with the operation of the first Wind Power Plant (PLTB) commercial 75 MW in Indonesia in Sidrap, South Sulawesi in 2018. Following are some EBT-based electricity projects in 2019, such as the Jeneponto Wind Power Plant (PLTB), Mulut Balai Geothermal Power Plant (PLTP), Sorik Merapi, Sokoria, and Muaralaboh.